Don't book anything until you've read this! Introducing the Muddy mega marriage guide with more brilliant local venues and suppliers than you can shake a sugared almond at. You have a read and we'll go buy a hat. Harry and Meghan had Windsor Castle, as did Princess Eugenie and, er, that bloke, while Lady Gaga has a $1m engagement ring. But never mind the celebs – you, dear Muddy reader, have our super-duper wedding guide to help make your special day the best of the bunch. We’re here to help, as always. 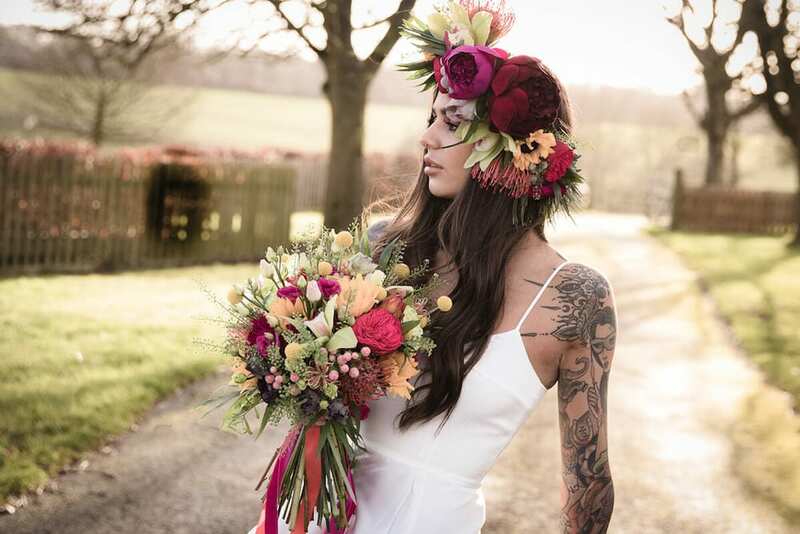 If you’re knee-deep in planning a wedding – be it as the blushing bride, a bridesmaid or mother of the bride – read on for the Muddy edit of the best of Bucks and Oxon’s independent wedding businesses. We’ve got the venue covered, plus all the trimmings. Easy peasy! I’m off to buy a fascinator and await my invitation. It’s a bit of a curveball but how about getting married in a museum? 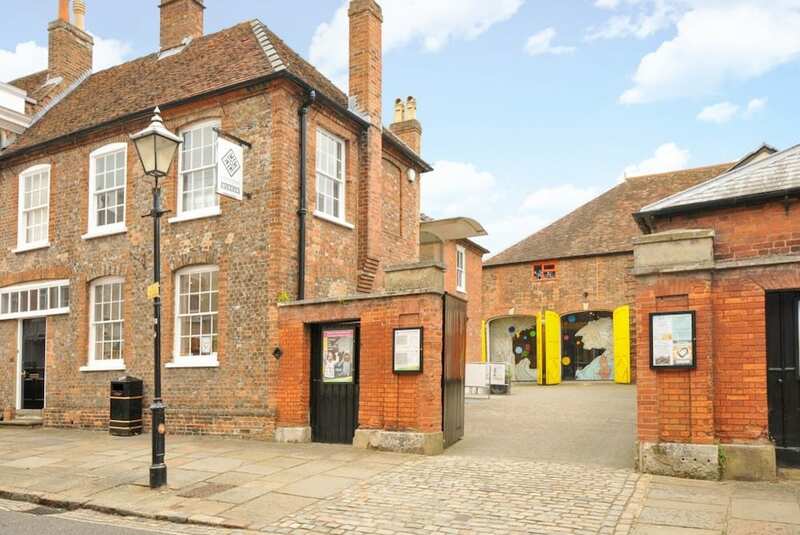 Bucks County Museum, in Aylesbury’s Old Quarter, has just started hosting weddings. If you’re having a tiny bash (12 guests or less), you can get married in their Roald Dahl Gallery (just make sure Mr & Mrs Twit aren’t on the guestlist), while the beautiful Georgian Room seats 46, with its floor-to-ceiling doors opening up onto a walled garden that’ll take 200 guests in a marquee. So there are plenty of options, whatever the size of your gang. Also, they’re running a competition in November to win your wedding (nb there’s a choice of three dates in Jan and Feb 2019). All you need to do is book in for a venue tour and at the end of the month a winner will be drawn at random. Worth a punt, no? And, worry not, Oxfordshire dwellers, you can also get married in a museum! And it’s a biggie – The Ashmolean, no less. Just imagine how cool those big ol’ pillars at the entrance will look in your wedding pics. Plus rather thrillingly, you can choose whichever bit of the place you like to do the deed as every public space and gallery is licensed. The Mallett Gallery, for example, holds 100 guests and comes with sweeping staircase so you can make your entrance in style, chandeliers, a harpsichord and priceless paintings by Old Masters. Sounds rather like my living room! On a totally different note, we also love MonktonBarn which is – can you guess? – a barn on the edge of the Chilterns near Marlow, where they can cater for anything from 20 to 500 guests, amid 10 acres of bucolic rolling meadows. 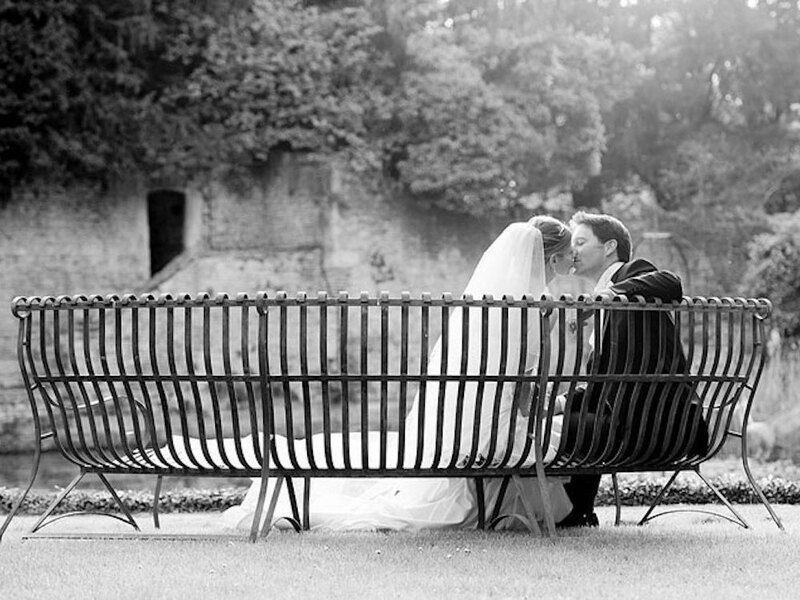 They’re big on bespoke weddings, so whatever your style they’ll make it happen. It’s worth noting owner Wendy Aldiss is also an accomplished wedding photographer – and of course you don’t have to get married on site to book her. Finally we recently discovered the glorious Paris House restaurant (above) just across the border in Beds, part of the Duke Of Bedford’s Woburn estate and Michelin recommended. 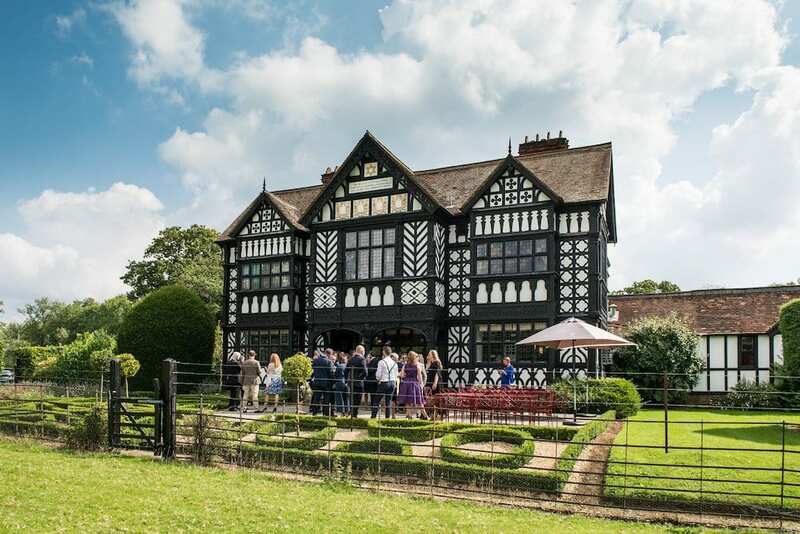 They’re not licensed for the ceremony but they host intimate wedding breakfasts for up to 38 guests in the ornate Tudor-style building in the midst of 22 acres of deer park. If we were putting another ring on it, the first thing we’d do is make a beeline for the Libby Rak Gallery of Jewellery, as seen in Vogue but more excitingly Best Jeweller in this year’s Muddy Awards. The hotshot young Woodstock jewellery maker will make you a bespoke engagement or wedding ring and extremely beautiful there are too (so there, Lady Gaga!). Biagio The Jeweller is known as the wedding jewellery specialist in Thame and Bicester, so don’t leave him off your prospective list either. 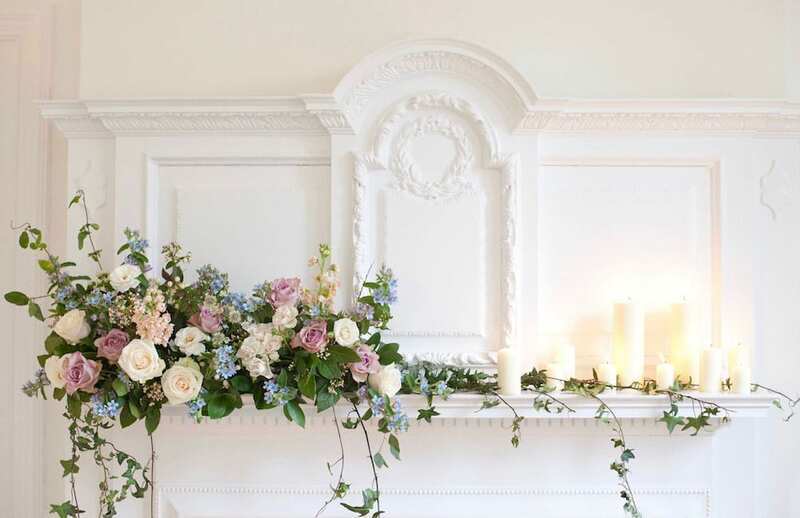 There’s a host of groovy, creative Instagram-friendly florists popping up around these parts, offering a refreshingly modern take on trad wedding flowers. Case in point – the gorgeous work of Nong Smitinand Flowers. The Oxford-based florist’s botanist great grandfather was a leading authority on Thai orchids and Nong is certainly continuing the family tradition. Meanwhile down in Henley, Just Joey On The Moon is the brainchild of Claudia, a Henley-based former ad agency creative whose previous career means she’s big on telling stories through her blooms. She’ll even create a mood board for your special day – gotta love that kind of attention to detail. Over in Bucks, we’re loving Joanne Caldwell‘s elegant designs- she has a flower stall at Marlow’s artisan market this Saturday, 3 Nov, so pop down and have a chat. Or for something more dramatic, try Wild Rose‘s extravagant, artistic blooms, below. Do you love Champagne? Er, obviously. 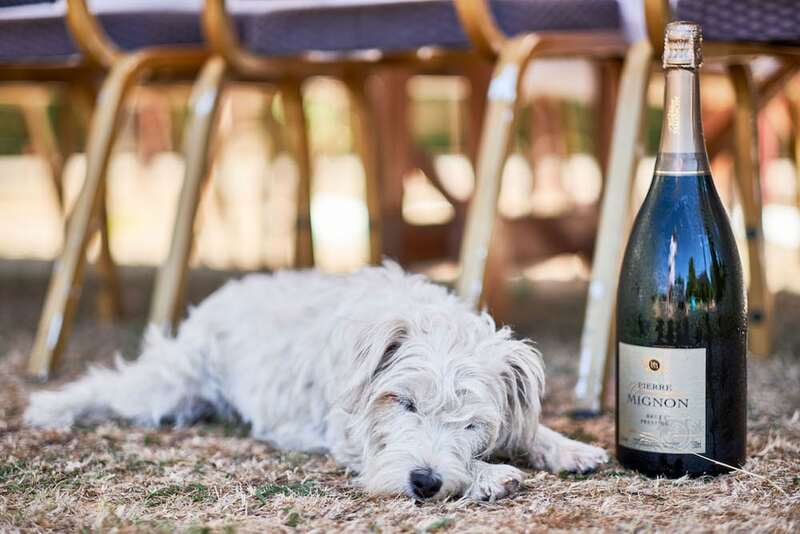 Then check out The Magnum Company They only sell – you’ve guessed it – magnums and nothing says ‘let’s party’ more than a giant bottle of fizz on each table. Another question – do you know the muffin man? We do – he’s called Rich and he’s got 15 years of experience as a pastry chef and working in food development for the likes of Fortnum & Mason. His Belistore mobile bakery up rocks up at events to serve delicious brownies, pastries and muffins – a great ‘morning after’ catering option we reckon, should your wedding guests be sleeping over. Hair and make up? 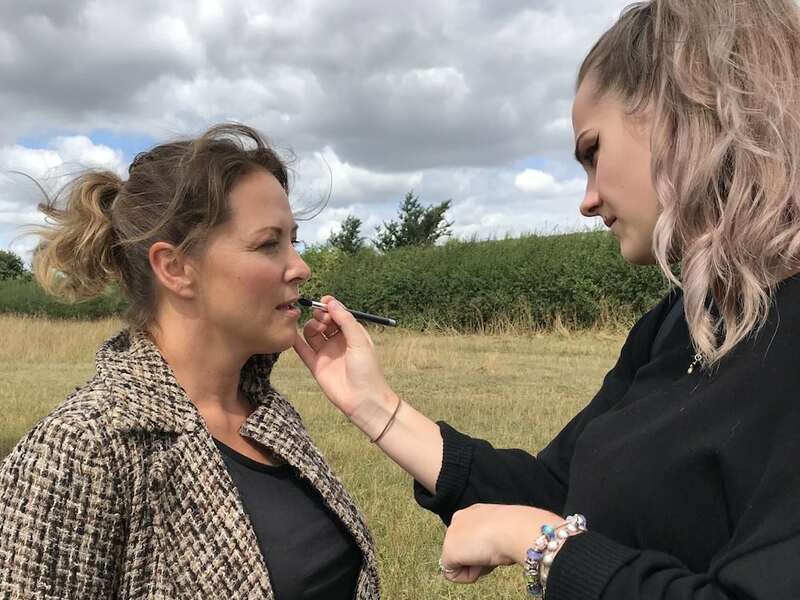 Easy peasy – Tamsin and Joceline of Bucks Make Up Studio are massively in demand as celebrity make-up artists at Pinewood, and what’s good enough for Emily Blunt and Nicole Kidman is good enough for me! Tamsin is my go-to for hair and make up for big events, and I can recommend her personally. Ditto for a new find, Harriet Thorpe, an alumna of Iver Academy, and currently working on the TV set of Atlantic and the woman responsible for knocking me into shape for my feature in Psychologies. Hair and make up SORTED. 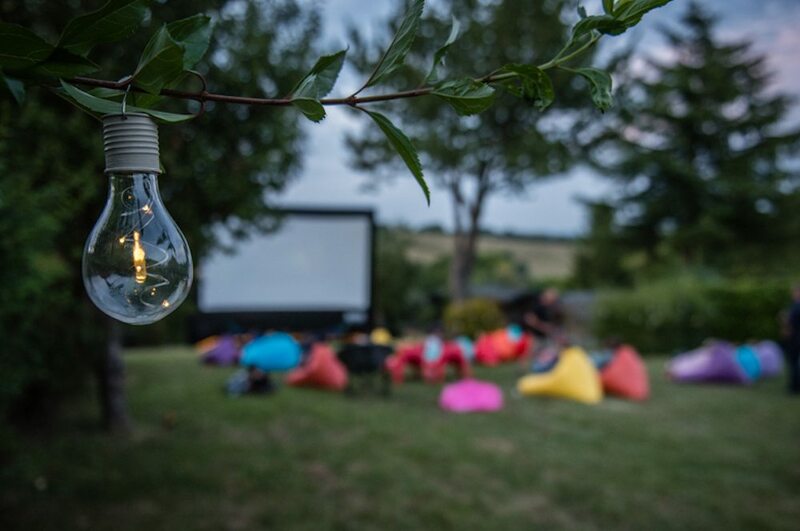 Finally, a neat idea to keep younger guests occupied – Firefly Events will create a cool pop-up al fresco cinema at your reception to mesmerise little ones into silence. Your choice of movie? Gotta be Bridesmaids or The Wedding Crashers. Want more, more, more? Check out the weddings section of Muddy’s Little Black Book of best local businesses.